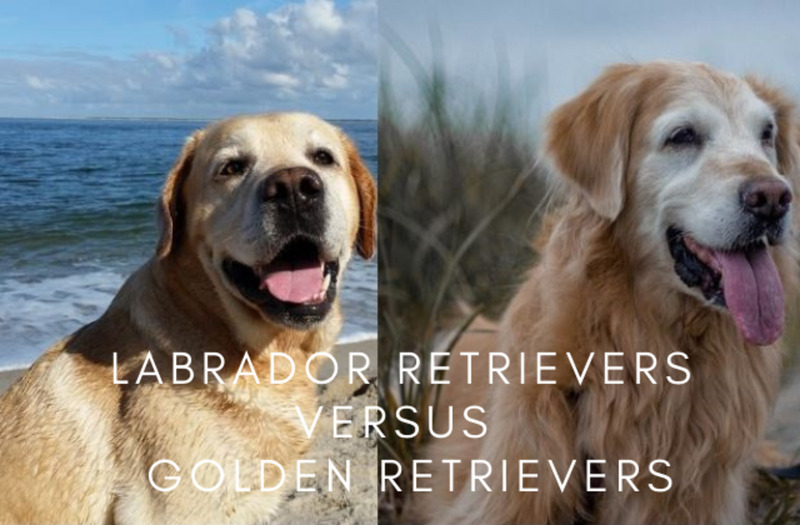 Labrador Retrievers versus Golden Retrievers: Which dog breed is better? Just like picking tasty chocolates from a variety box, it can be challenging deciding which breed you prefer as both dogs breeds are equally appealing and share attractive traits, which makes them both potentially great companions. If you are debating between these two dogs breeds, rest assured that you are not alone. Countless perspective dog owners across the globe often wonder which dog breed to introduce into their homes and debate about these two. Not surprisingly, when it comes to popularity, both dog breeds rank very closely. According to the American Kennel Club, labradors ranked number 1 as the most popular dogs in 2017 (and have been since 1991!) with goldens lagging just a bit behind and ranking third place. 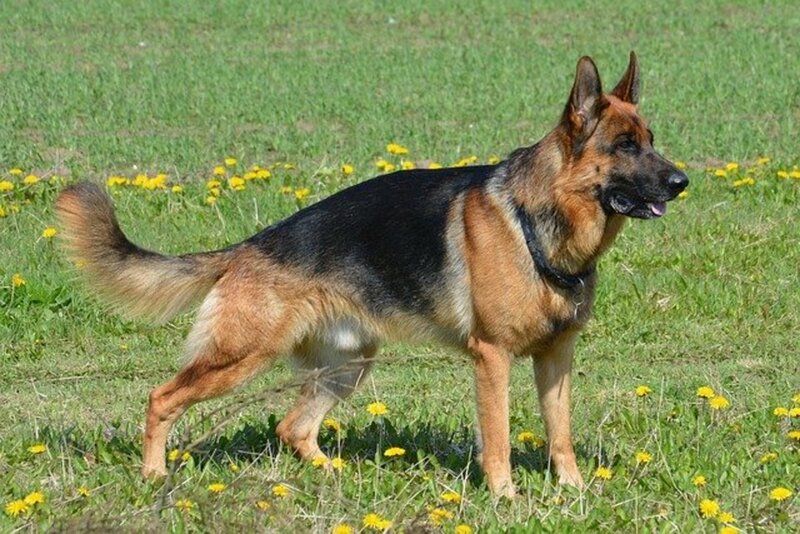 For those wondering, German Shepherds ranked second place. Before contrasting these two breeds, firstly, let's take a look at to what they have in common. One obvious commonality is that both these dog breeds share the word "retriever." This means that both dog breeds were selectively bred to retrieve game for hunters. Both labradors and Golden Retrievers are gun dogs (also known as bird dogs) that were used to assist hunters who utilized guns to hunt a variety of birds. Retrievers were mostly utilized to retrieve dead or dying waterfowl and upland game birds after being shot by the hunter. Because retrievers were responsible to retrieve birds who were later meant to be presented on the table and consumed, it was important that they retrieved with a soft mouth so as not to puncture the meat. Retrievers were selectively bred for their biddability, a natural predisposition to follow directions. Since the work of both goldens and labs encompasses retrieving waterfowl from lakes and ponds, both breeds are blessed with a water-repellent coat. 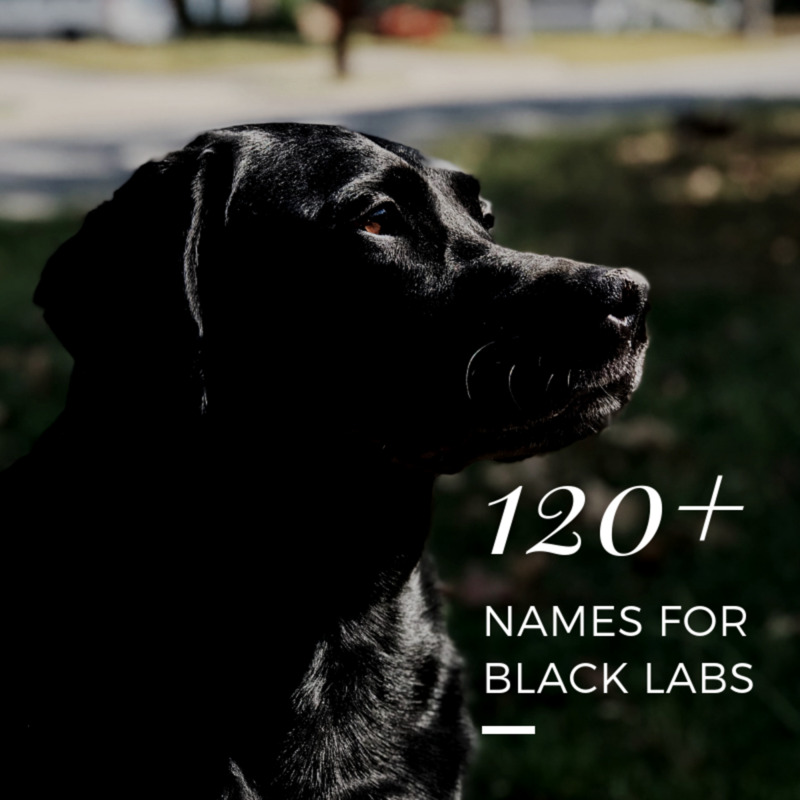 Because of their past history as hunting dogs, Labrador Retrievers and Golden Retrievers are categorized by the American Kennel Club under the "sporting group." The sporting group encompasses various dog breeds that were developed to work closely with hunters helping them locate and/or retrieve quarry. Included in this group are spaniels, pointers, retrievers, and setters. With a history of hunting, both breeds are highly energetic and therefore have great needs for exercise and mental stimulation. Fail to provide sufficient exercise, and your retriever will engage in undesirable behaviors such as excessive barking, digging and jumping. Both labradors and Golden Retrievers are, therefore, dogs included in the sporting group with a history of being selectively bred for retrieving and delivering downed birds with a soft mouth. 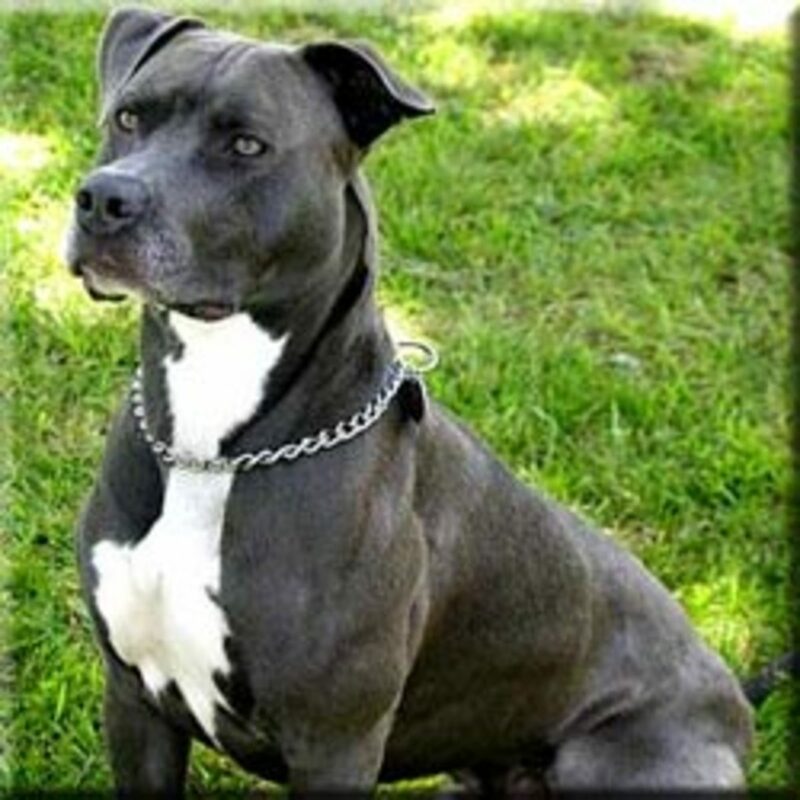 Both breeds are highly intelligent, have high levels of energy and are eager to follow directions. The Labrador Retriever's foundation breed was originally bred in Newfoundland and became more and more popular in the early 1800s when they were spotted by English nobles upon visiting Canada. Enamored with the breed, several nobles decided to bring along some fine specimens to England, where, British breeders refined the breed in the latter half of the 19th century and obtained the breed as ee know today. The Golden Retriever dog breed was originally bred in Scotland in the mid-19th century. Dudley Marjoribanks, the first Lord Tweedmouth, developed the breed in the Scottish Highlands with the intent of creating the perfect gundog for use in his estates in Scotland. Labrador Retrievers were selectively bred to retrieve ducks and fish that had floated free of nets from the cold and icy waters of Newfoundland, in the province of Newfoundland and Labrador, a northerly region of Canada. Golden Retrievers were selectively bred to hunt wildfowl in Scotland at a time where hunting was considered a popular sport for wealthy Scottish nobles. The existing retriever breeds back then were inadequate for carrying out the task of retrieving downed game from both land and the marshy ponds and rivers typical of the areas so there was a need for a specialized breed. The best water spaniels were, therefore, bred with the existing retrievers, ultimately resulting in the creation of the Golden Retriever breed. Labrador Retriever male dogs generally measure 22½ to 24½ inches at the withers, while female dogs measure 21½ to 23½ inches. Males tend to weigh 65 to 80 pounds while females weigh 55 to 70 pounds. Golden Retriever male dogs generally measure 23 to 24 inches at the withers, while females measure 21½ to 22½ inches. Male dogs tend to weigh between 65 to 75 pounds, while females weigh 55 to 65 pounds. 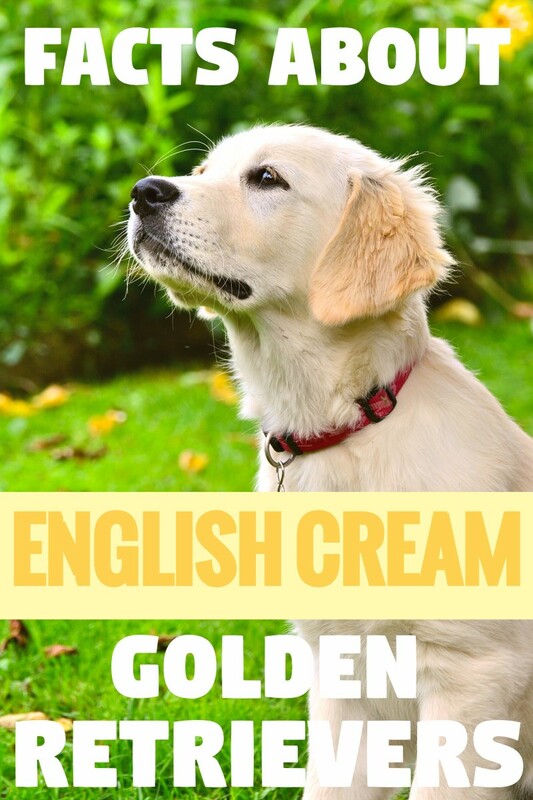 According to the American Kennel Club's standard for the breed, Golden Retrievers, as the name implies come in golden of various shades. Any coat color that is either extremely pale or extremely dark is undesirable. According to the American Kennel Club's standard for the breed, Labrador Retrievers come in three coat colors: black, yellow and chocolate. Any other color or combo of colors is considering a disqualification in the show ring. Labrador Retrievers are characterized by a short, straight and very dense coat. A short coat was a must back in the days considering that long-haired retrievers would have been at a great disadvantage as they would have been encrusted with ice when emerging from the icy water. When touched, the coat of a labrador provides a fairly harsh feeling to the hand. A slight wave down the back is often seen. Golden Retrievers are characterized by a long, dense coat. The hair may be longer around the neck (ruff), back of the forelegs and thighs (feathering) on the underbody and the underside of tail. Overall, the coat shouldn't be so long as to interfere with this breed's work in the field. 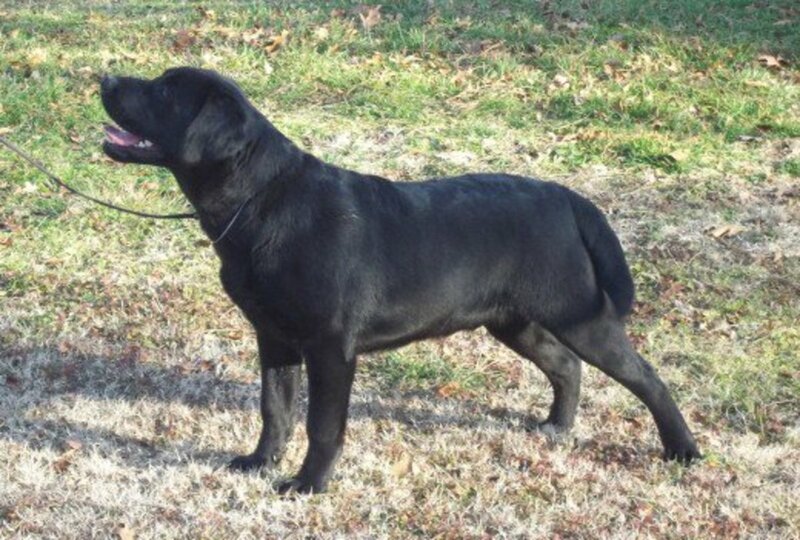 Labrador Retrievers have double coats that shed, but with regular weekly brushings this should be under control. Giving these dogs an occasional bath can help them stay clean. Golden Retrievers have double coats that heavily shed seasonally once or twice, a year. During these peak times of "blowing their coats" regular brushing with a slicker brush (on a daily basis preferably) can help remove the majority of dead hairs before they have time to fall to the ground or attach to clothing or upholstery. During the rest of the year, these dogs will continue to shed moderately. Goldens, just like most dogs, need occasional baths. The American Kennel Club describes Labrador Retrievers as a kind and outgoing, with a tractable nature and eager to please. 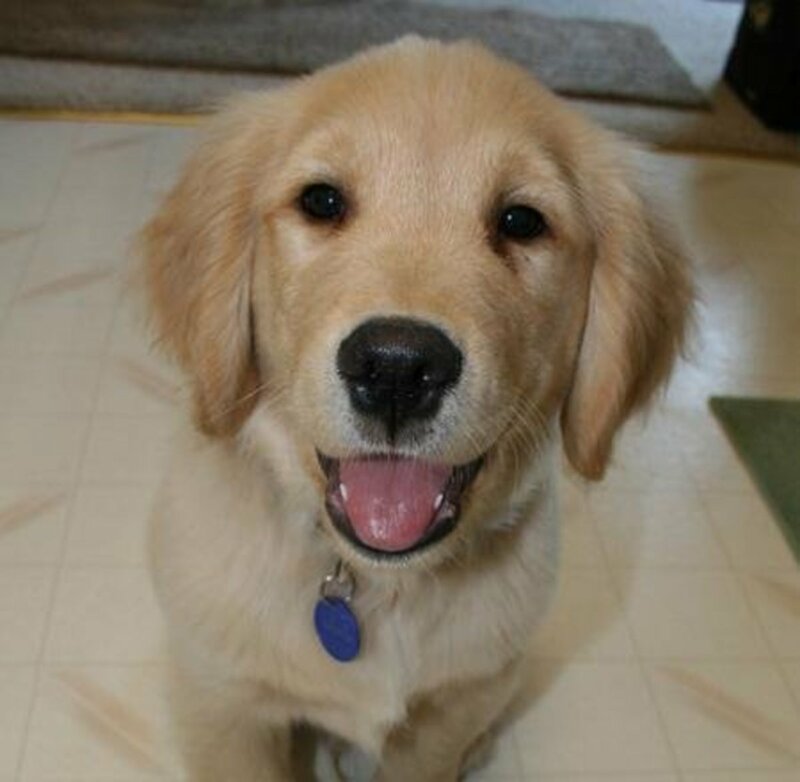 The American Kennel Club describes Golden Retrievers as friendly, reliable, and trustworthy. Labradors are the poster child for a condition known as laryngeal paralysis. Other conditions include bloat, hip and elbow dysplasia, heart disorders, hereditary myopathy, and progressive retinal atrophy. Young labs may develop a condition called exercise-induced collapse (EIC). Labradors have a lifespan of 10 to 12 years. Golden Retrievers are predisposed to several conditions including laryngeal paralysis and hemangiosarcomas. Other predisposing conditions include bloat, hip and elbow dysplasia, progressive retinal atrophy, and certain heart diseases, including subvalvular aortic stenosis. Goldens have a lifespan of 10 to 12 years. Now That You Know the Difference . . . Which dog breed do you prefer? Heidi, that's just what I was thinking about, as I was reading your comment, that you got the best of both worlds if your dog is truly a mix of golden and Lab. I had several very gentle goldens come over for board and training and they were wonderful dogs. Great to hear you got calm goldens. 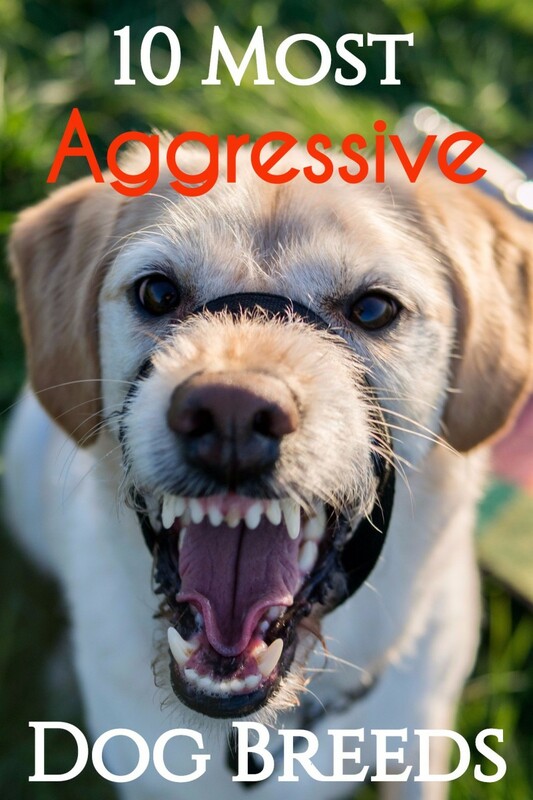 Based on my experience goldens seem calmer than Labs, but I might be biased because the majority of the Labs that I have dealt with had a history of some type of behavior issue or were much younger and therefore more high strung. Peggy, the Labs and goldens indeed boast amazing qualities, so I am sure picking one over the other must be quite a challenge. 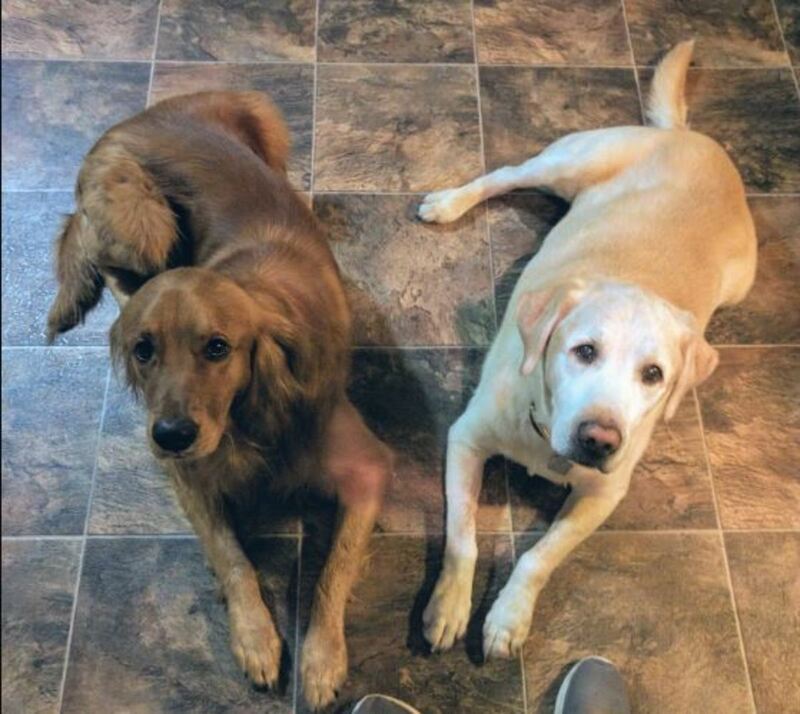 I have had the pleasure of getting to know both for training purposes, and have just a very slight preference for the Lab, but just because their coats tend to stay tidier compared to the golden. I had to remove burrs and mats from goldens and things get quite messy when they happen to get diarrhea. Both types of dogs are gentle and loving. In addition to being good dogs for those who hunt, they make great family pets. Being a dog "mom" to several goldens over the past 3 decades, I can attest to their absolute wonderful-ness! :) Our current golden looks like a mix of some sort (don't exactly know since he was a stray). But we think he's a golden/lab mix due to his golden type coat, but big yellow lab head and coloration. So I have the best of both! But I do have to say that none of our goldens have been "working" dogs as their breed was developed to do. Couch potatoes!